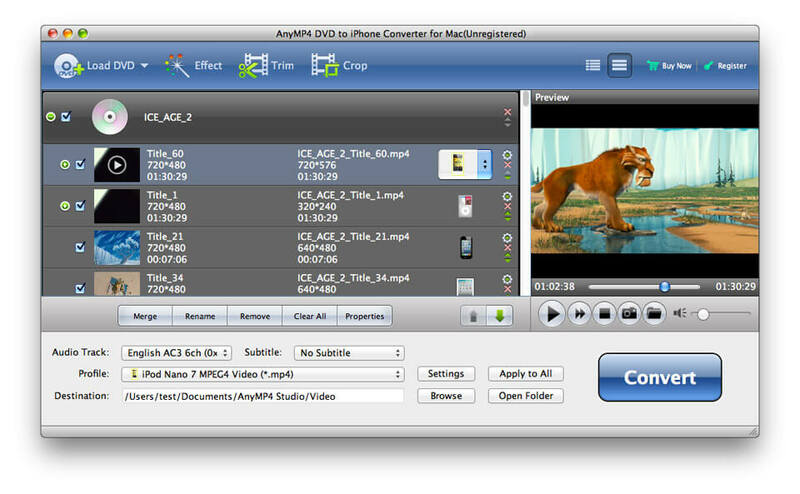 AnyMP4 DVD to iPhone Converter for Mac is the best Mac DVD to iPhone Converter, which can help you convert any DVD disc to iPhone compatible video formats such as iPhone MP4, iPhone MOV and iPhone M4V. frame, merge video clips and add text/image watermark to the video as you like. Convert, extract, split, concatenate, join, shift audio, burn in text or images, scan for defects, repair and display info of videos and audios of almost any format. Subtitle editor. True GUI for ffmpeg. Multiprocessing capable. Explorer integration.